This step-by-step guide shows the way to smoothly build FIPS capable OpenSSL library for use in the FIPS 140-2 compliant Tomcat server on Windows machines. The Federal Information Processing Standard 140-2 is a security standard published by the National Institute of Standards and Technology (NIST), covering specification of security requirements for implementing cryptographic modules. Cryptographic module may be either a library, a component of a product or application, or a complete product. The specifications include e.g. a list of approved algorithms, module inputs and outputs, physical security, cryptographic key management and more areas related to the secure design. NIST manages a list of FIPS 140-1 and FIPS 140-2 validated cryptographic modules, i.e. modules tested, validated and certified under the Cryptographic Module Validation Program. The complete list can be found here: http://csrc.nist.gov/groups/STM/cmvp/documents/140-1/140val-all.htm. The compliance (unlike FIPS validation) means that only FIPS approved algorithms and validated modules are used in the product, but the product itself was not validated. OpenSSL library is not FIPS validated. A special software component called OpenSSL FIPS Object Module was created instead. OpenSSL being compiled with the OpenSSL FIPS Object Module embedded inside is so called FIPS capable OpenSSL. It provides the standard, non-FIPS API as well as a FIPS 140-2 Approved Mode, a setting in products using this library in which only FIPS 140-2 validated cryptography is used and non-FIPS approved algorithms are disabled. Current version of OpenSSL FIPS Object Module is 2.0 and is compatible with standard OpenSSL 1.0.1 and 1.0.2 distributions. The following window should appear. Again, check the aforementioned option. The guide was tested using Visual Studio Professional 2015. 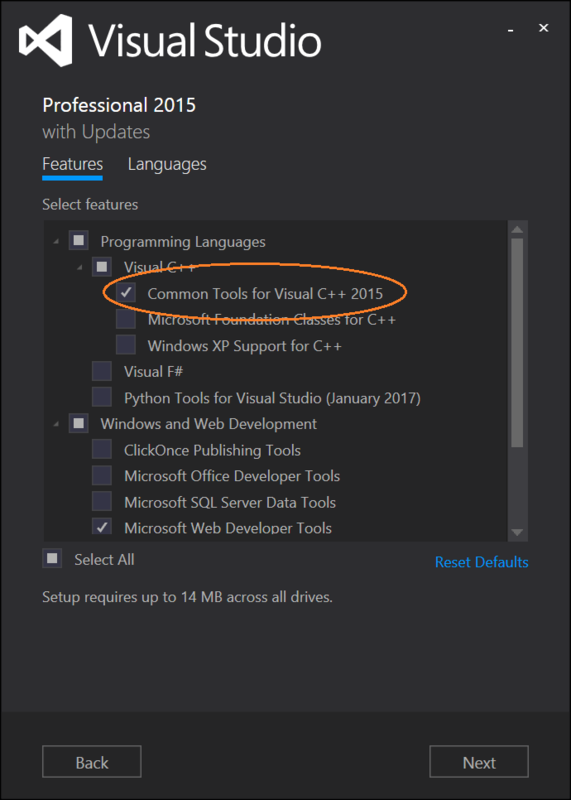 Both, the aforementioned option for the Developer Command Prompt for Visual Studio installation and batch files needed in the following process, may differ in other versions. OpenSSL FIPS Object Module to a directory outside Tomcat Native. By default, the compiled files should appear in C:\include\ and C:\lib\ folders. It is recommended to create an appropriate file system structure before proceeding to the compilation of the Tomcat Native library. Compiled files should appear in the tomcat-native-X\native\WINXP_X64_DLL_RELEASE or tomcat-native-X\native\WINXP_X86_DLL_RELEASE folder. Now that we have FIPS capable Tomcat Native library, the last action needed is the configuration of Tomcat to use the FIPS validated implementation. Copy the compiled tcnative-1.dll to your tomcat\bin folder. And that’s it! Your Tomcat is now using only FIPS approved algorithms and FIPS validated implementations.